One of the most awaited sporting events of the year is just around the corner. And typically the fierce competition of the Superbowl accompanies an even fiercer craving for all your favorite action-packed foods and snacks, often ones that contain an abundance of saturated fats, carbs and excessive calories. Unfortunately, these very culprits can put a damper on a (so far) head strong effort of eating lean and staying fit—a goal that many of us aspire to at the start of the new year. But you can’t starve yourself while everyone is busy stuffing face during the most important football game of the year, right? Right (you didn’t think we’d say otherwise, did you?)! If you’re watching the game at your own place or someone else’s, plan on working in one of these healthy options into your Superbowl spread to make sure the game doesn’t pack a punch on your waist and leave you feeling defeated. Are you a veggie lover? Offering a veggie tray is a covert way of contributing a delicious, popular, yet tasty Superbowl side dish while allowing you the option to indulge in a snack that’s chockfull of fiber and boasts low calories and fat. If you’re not a fan of the readymade veggie trays, opt to create your own with an assortment of your favorite vegetables. What to dip? Try one of the below complementary options for some added yum. See other foods on the Superbowl buffet you’re vying to get your hands on? No worries—fill up on your veggies before you proceed to other less healthier options so you don’t end up overindulging on them. Looking for a leaner alternative to potato chips minus the excessive levels of oil and sodium? Try kale chips. Cut off the kale stems, place the kale leafs on a conventional oven tray, spray lightly with cooking oil (or not) and add a sprinkle of salt before you bake. In no time at all, you’ll have yourself a tray of crispers that’ll give potato chips a run for their money. Looking for something with more of that potato-ey flavor? Making your own homemade potato chips can help cut back on a lot of the unhealthy ingredients found in the packaged versions. Cut a potato into thin, round slices, place on a baking tray, spray lightly with oil (or not) add salt, bake to a crisp and voila! You’ve got yourself a healthier, fresher version of potato chips! If you’re cutting back on carbs or looking to eat clean, look no further—we’ve got the perfect snack for you. All you need are some cucumbers and turkey (or your choice of lean meat). Cut the cucumbers into tall, thin slices, place a layer of turkey on top, and maybe a slice of tomato (if you’re a fan), roll it all up and hold in place with food picks for a fresh, delish, pick-me-up finger food. Want condiments? Try healthier variations of mayo (like Tzatziki sauce or hummus) for flavor. If you’re a vegetarian put hummus (or something similar) on the cucumber and add in your own choice of veggie favs, like shredded carrots or pimento olives for a special zing. Buy a dip from a grocery store and you’re likely to ingest several preservatives and other unhealthy ingredients, like excess salt and saturated fats. Make your own dips from natural ingredients and you’ll relish the fresh taste plus your body will thank you for the vitamins and minerals more densely present in the homemade versions. Dips popular with the crowds include salsa, hummus and avocado, so consider experimenting with at-home recipes for these. Of course no Superbowl is complete without an ample dose of chicken, right? Good news is, now you can have your chicken and eat it too without the telling residue of oily fingers (and clogged arteries!). Try a crispy homemade oven fried chicken recipe that allows you to still preserve and relish the crispy breadedness of fried chicken, while eliminating the excess fat and calories. If you’re going to a venue or other place where you won’t be able to bring your own food, no worries! There are always healthier alternatives you can look for, such as those that are baked, or are as close to their raw/natural form as possible (variations of fruits, veggies and lean meats). And remember, if you do overeat, don’t berate yourself—it’s never too late to get back on the health bandwagon (or burn off those calories at the gym). So put your game face on and eat to diet victory! 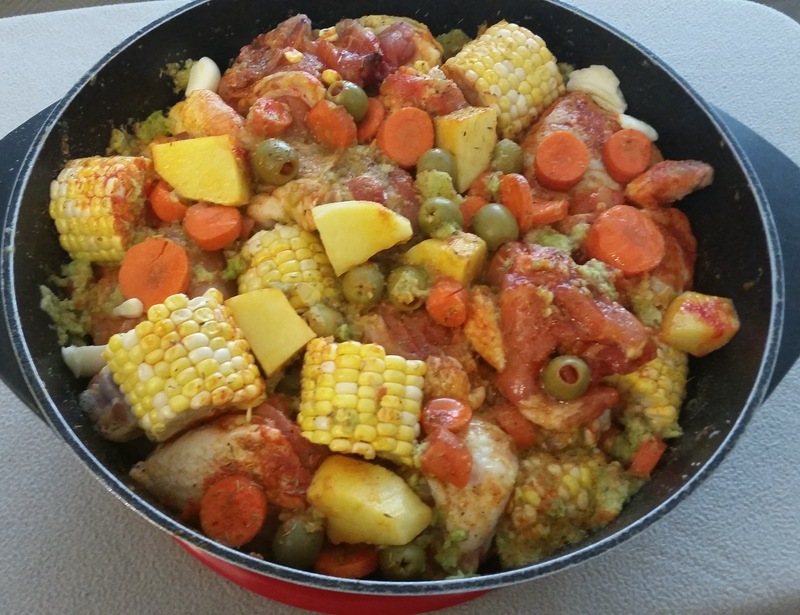 This esquisite Greek Chicken Stew is a popular dish for special guests and gatherings. Hearty and a zinch to prepare. 1 In a soup pot combine and mix well all ingredients except the tomato sauce and flour. 2 Cover and put in the refrigerator to marinate over night. 3 When ready to cook, just set on the stove on low for about 20 min. 4 Remove lid and slowly stir. Add 2 cups of water. Replace lid leaving bit of a vent. Turn up a bit to med- low and let it simmer for 20 more min. 5 Mix the tomato sauce with the flour until it creates a cream. 6 Add that cream to the stew. Uncover and reduce it back to low. Simmer for 10 more min. 7 Let stand for 10 min and serve with white rice. 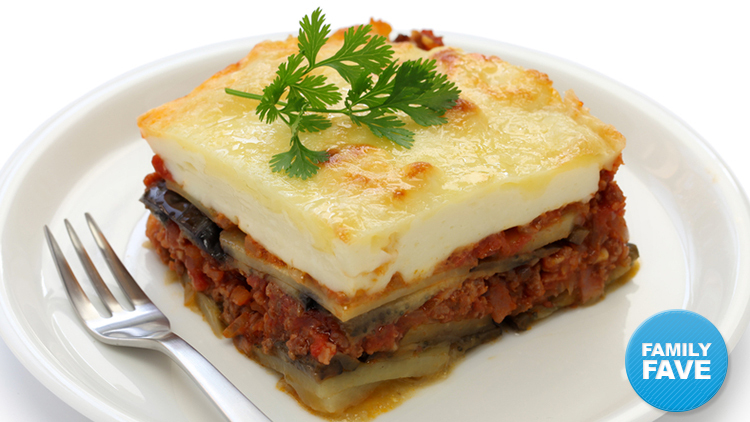 Moussaka is a traditional Greek dish. Every family surely has their own version. I prefer the healthy version. 1 Heat and brown the ground meat. Drain all the grease. Add the onions about halfway into the browning process. Sprinkle salt over the meat and onions. 2 Once the meat is browned and the onions have softened, add the garlic, black pepper, oregano and tomato paste. Mix well and cook for 2-3 minutes. 3 Add the red wine and mix well. Bring the sauce to a simmer uncovered for 20 minutes. Turn off the heat. Taste for salt and add more if needed. Add the lemon zest and the lemon juice. Mix well and taste. Set the sauce aside. 4 Peel and slice the eggplant and the potatoes into 1/4 inch rounds. 5 Boil the potatoes in salted water for 5-8 minutes – you want them undercooked, but no longer crunchy. Drain and set aside. 6 To cook the eggplant, grill or fry the rounds using Olive oil. Transfer into paper towels and set aside. 7 Melt the butter in a medium saucepan over medium heat. Add the flour and cook, whisking constantly, until pale and smooth, 2 minutes. Still whisking constantly, add the milk and cook until thickened. Season with salt, pepper, and nutmeg. Let the sauce cool for 5 minutes. In a small bowl, whisk together the egg yolks and Mozzerella cheese. W8hisk into the bechamel sauce until smooth. Preheat the oven to 400 degrees F. Butter a 3-quart baking dish or casserole dish. To assemble: Put half the eggplant and potato slices in the dish and cover with half the meat sauce. Top the sauce with the remaining eggplant and potato slices, and then the remaining meat sauce. Pour the bechamel over the top of the meat sauce and spread evenly with a rubber spatula. Sprinkle Parmesan cheese evenly over the top, place the dish on a baking sheet, and bake until browned and bubbly, 45 to 50 minutes. Top with fresh parsley or cilantro, if desired. Let cool for at least 20 minutes. Cut into squares and serve. If you’re like most people, you’ve had a love-hate relationship with carbs at some point. And who can blame you? With all the dieticians out there keen on slinging mud on our hip-clinging friends, like rice, bread, and, yes, donuts, it’s tempting to completely banish these traitors from our lives. 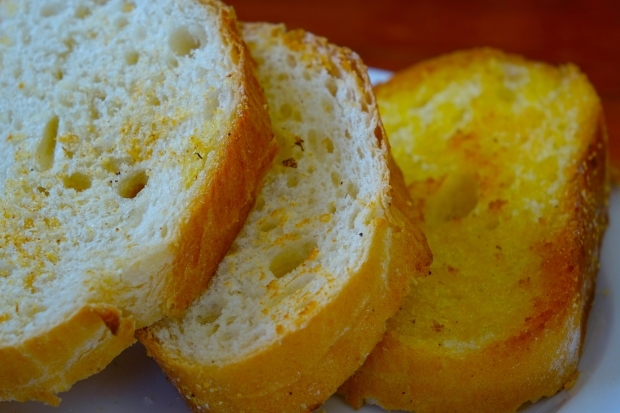 But if your worth the grain on your bread, you know that carbs are an essential part of any well balanced diet. And let’s be real: diets that are carb-restricted are doomed for failure at some point, because practically it’s not possible or healthy to go forever without these essential (and oh so yum) foods in our lives. The trick to eating carbs is to select the healthy ones (yes, wave good bye to bagel’s frosted and sprinkled twin)—which can be especially difficult when it comes to one of America’s most necessary staples, if storms and power outages are anything to go by—bread. And with store-bought breads containing harmful ingredients while deceptively boasting their nutritional superiority over competitors’, it’s easy to see why they have a bad rap. 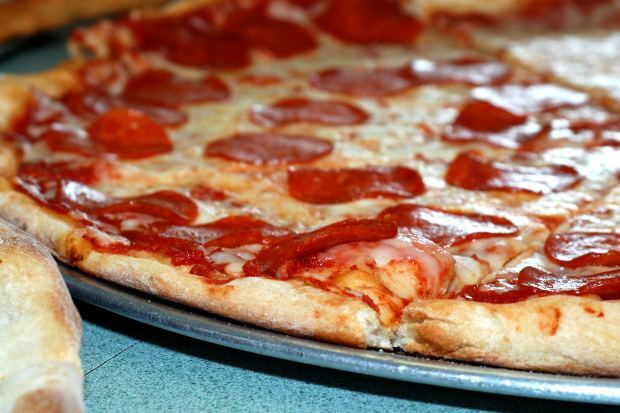 After all, how can you trust a food that’s constantly under so much scrutiny? But don’t give up hope. There’s a way to make sure you’re including this can-be-healthy food into your daily diets—while benefiting from its merits. To make sure you’re buying the healthiest most natural, nutrient-dense bread, we’ve compiled some important information you should consider the next time you find yourself browsing the bakery aisle. Any terms you cannot pronounce—these typically sound more like names of chemicals that belong in a lab than whole foods you may find in the aisle of a grocery store. Why are these ingredients bad for you? We’re glad you asked. Of course, manufactured sugars are an obvious. Nothing good ever comes out of them and they’re certainly not healthy for you. 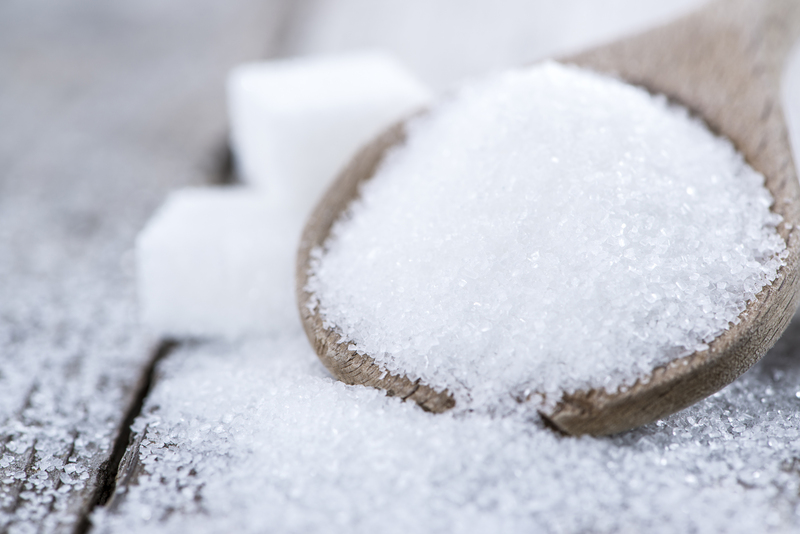 Plus, even fake sugars are known to cause cancers and heart disease while others that operate under a cleverly named alias, like high fructose corn syrup, can cause health risks including weight gain, diabetes, and bad cholesterol. Genetically modified ingredients (GMOs) like soybean oil, corn oil, corn starch, and soy lecithin can be detrimental to your health because the original forms from which these oils are derived often contain pesticides that are poisonous and can prove toxic when ingested. Preservatives, which are often present in many breads and are sometimes listed simply as “preservatives” on the ingredients panel, can lead to long-term diseases like ADHD. Even the simpler, seemingly harmless ingredients like food coloring or artificial flavors can lead to a development of allergies or asthma. Now that you know what to avoid, let’s talk about what you should look for. Put simply, anything that is a real ingredient and is healthy for you gets a green checkmark. Examples include whole wheat, herbs, flaxseed, rice bran, yeast, hemp seeds…you get the drift. If it sounds like a real food your mom would encourage you to eat, it’s probably safe. Calories have become all the rave. After McDonald’s made news on multiple occasions for its unhealthy, obesity-inducing meals, and Jared from Subway stepped out, dwarfed by his old fat jeans, claiming that “eating fresh” had helped him lose weight equivalent to that of a grown adult, it’s as though a cyclone of frenzy seized the fast food industry and calorie counts started popping up on drive through menus and nutritional fact sheets everywhere. But don’t be fooled. 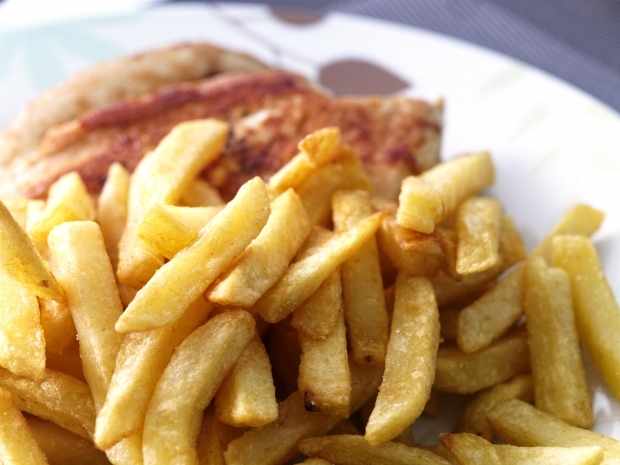 Although many restaurants are more calorie conscious and aim to make meals more calorie friendly, that doesn’t mean the foods they offer are any healthier for you to consume. In fact, excessive calories are just one thin layer among many others of why you should avoid fast foods like the plague. High Sodium– If you know anything about eating healthy, you know that keeping the salt shaker at bay is a good thing. According to the American Heart Association (AHA), about nine out of every 10 adults consume too much sodium, of which the AHA recommends no more than 1500 milligrams per day. Eat a single meal at a fast food restaurant of your choice and you’re likely to deplete your entire day’s worth of recommended sodium. One serving of Taco Bell’s volcano nachos (1650 milligrams) or a single serving of McDonald’s Big Breakfast with hotcakes (2260 milligrams) and you’re already over the recommended amount. Keeping that level of consumption up with even the slightest bit of regularity and you’ll make yourself infinitely more prone to fatal health concerns, including stroke, headaches, high blood pressure, kidney disease, stomach cancer, and heart failure, to name a few. Fake ingredients- When you eat, you want to make sure you’re nourishing your body and consuming something that is healthful. After all, your body will work hard for you as long as you give it the means to do so. But many fast food restaurants don’t have the prized nutrients or vitamins your body craves. In fact, the beef used by many restaurants is not 100% real meat–nowhere even close to that percentage. According to one study, approximately 50% of beef patties are composed of water and only between 2.1%-14.8% of the entire patty is actually real. The remaining 35%-48% is composed of chemical fillers and preservatives, which basically means that on a more favorable scale, 15% of what you ingest is real, nutritional food. The remaining 85%? Fake, lab-tested chemicals. Which brings us to our next point. Low nutrition value– Of course if you’re not eating real food, you can’t expect your body to extract real nutrients from those foods. And if you’re like the majority of Americans who depend on fast food restaurants for at least half their meals during the week, you’re doing more harm than good by depriving your body of vitamins and minerals that are essential to good health and longevity. The ratio of calories to nutrient density in fast foods is baffling. In other words, eating a fast food meal pretty much means that all you’re feeding your body are harmful chemicals and a ton of extra calories with no true nutritional value to sweeten the deal. Food safety- You wouldn’t ever entertain the thought of eating silly putty for lunch, would you? Opt for chicken nuggets from most fast food restaurants, and it’s likely that you’ll be getting a good dose of dimethylpolysiloxane—the exact chemical found in putty. In fact, according to several studies, the chicken contained in nuggets are not really even meat, but made from a sticky substance created from ground carcass and processed chicken bones. Not scared? Consider this: the chicken nuggets at many restaurants contain a chemical preservative called tertiary butylhydroquinone (TBHQ), which safeguards foods from discoloration. The downside is that while your food will appear fresh, fatal effects of TBHQ in rats include tumors and death. So the next time you decide you’re too lazy to pack a good ol’ homemade brown-bag lunch, think about what you’re sacrificing at the cost of convenience. Although an occasional meal here and there at a local joint likely won’t harm you, it’s always a good idea to prepare home cooked meals in advance so that you’re not left tempted to turn that occasional fast food visit into a regular habit. Besides, who doesn’t want to save some money and avoid a ton of unnecessary calories? All Stressed OUT!! 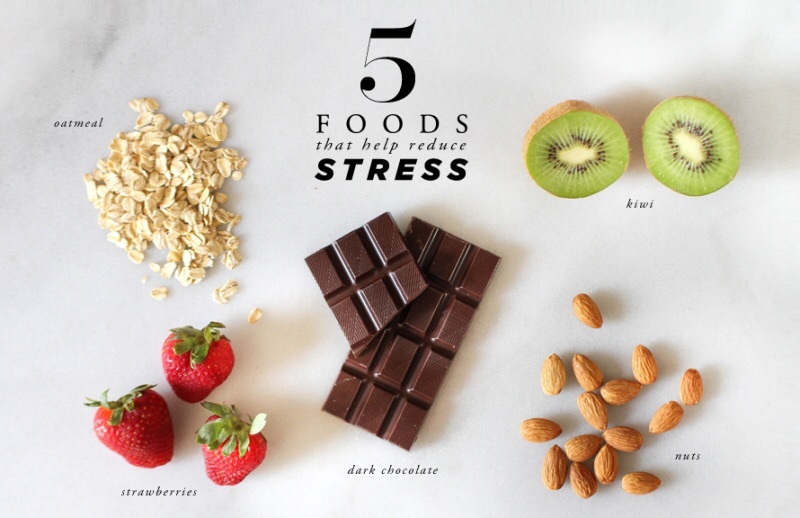 Healthy eating combined with natural supplements can help reduce stress. 70% of Americans are on some type of prescription drug for stress. We have to look for more natural ways to cope with stressors in our lives. A healthy diet, exercise, coping skills and natural supplements are a huge way to reprogram your body to deal with those outside stressors. Studies have shown that eating a healthy diet filled with protein and complex carbohydrates, like whole grains, such as oatmeal, quinoa and whole grain cereals, can help you keep a healthy blood glucose level. This will help you not feel that drop in energy throughout the day. Drinking plenty of water and eating lots of fruits and vegetables will also help maintain an even chemical balance and mood. The key is a balance of healthy foods that help you feel full longer and provide the body with a usable source of protein and nutrition. Confianza will allow you to trade your traditional anti-depressant for a more natural approach. This is made with adaptogenic herbs to improve mental focus and concentration and help the body cope with physical stress. Along with healthy eating and exercise, this will help to restore and maintain the bodies balance. Benefits of an Alkaline & PH balanced body: If your body is not alkaline or at a healthy PH level then it is imbalanced and begins to suffer from chronic diseases. What we eat and drink has a direct impact on your bodies balance. The symptoms can be from runny nose, fatigue, a skin breakout, or a slight case of irritable bowel syndrome. Alkaline foods range from almonds, avacados, blueberry, coconut oil, collard greens, coffee, kale, sweet potato & tofu just to name a few. 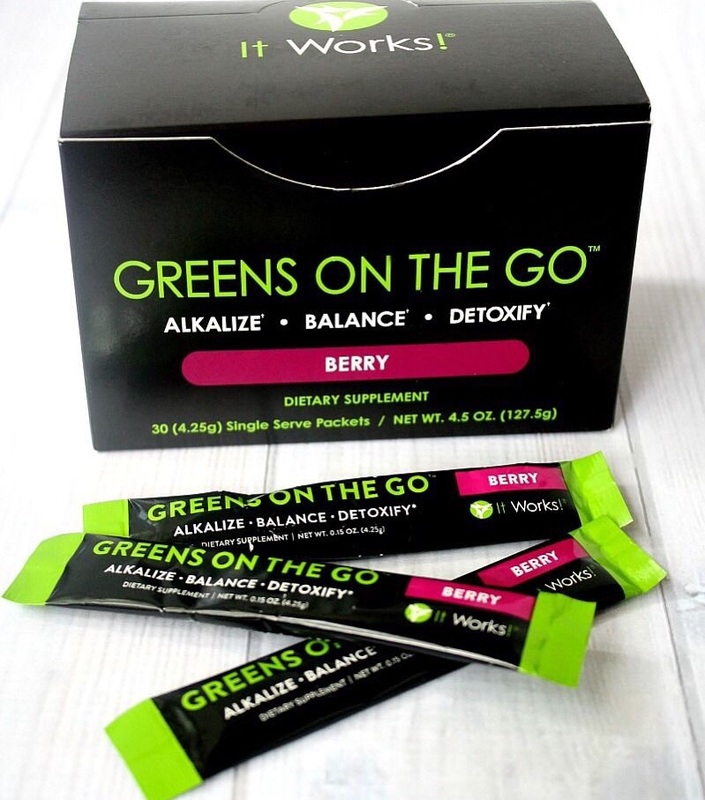 One way to combine all of the nutrients of these fruits and veggies and alkaline water is Greens from It Works. Each packet or scoop provide 8 powerful servings of Fruits and Vegetables and 38 Key Herbs, and it will Alkaline and balance your bodies PH and prepares your body to lose weight and make healthy changes! 10 Benefits of Having a Balanced Body PH include: more elastic skin, youthfulness, less arthritis, suffer from fewer colds, less headaches and flu viruses, deeper more restful sleep, mental alertness, abundant physical energy, and good digestion.